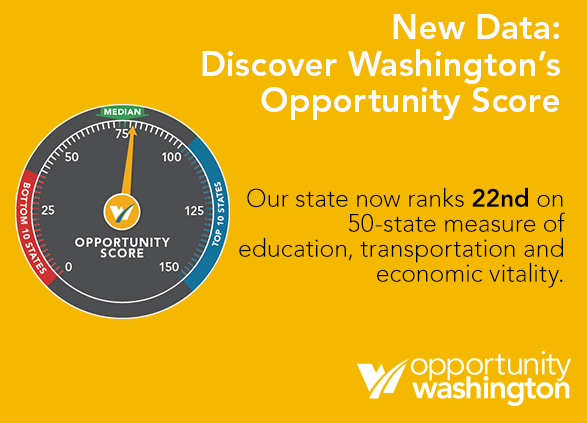 Opportunity Washington: Priorities for Shared Prosperity is a roadmap for expanding Washington’s culture of opportunity to individuals, families, employers, and communities in every corner of the state. It is organized around three guiding priorities: ACHIEVE (education quality and outcomes), CONNECT (transportation reliability and efficiency) and EMPLOY (economic vitality). Check out our research studies and Opportunity Scorecard to learn more. Education expands opportunity. 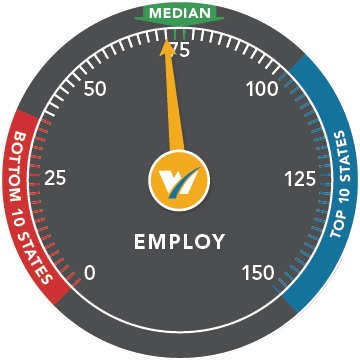 By 2020, 70 percent of Washington jobs will require postsecondary education or training. Preparing our students for these opportunities requires high-quality education at every level. Provide a high-caliber education and workforce development system geared to the demands of the 21st century. Expand access to postsecondary education that boosts career opportunity and supports economic growth. Ensure all students graduate from high school career- and college-ready. Drive interest and performance in STEM among K-12 students and increase access to STEM postsecondary programs. Focus early learning assistance on children most at risk of entering kindergarten unprepared. Our state again comes in 21st, although with a slightly lower Achieve score as compared to Winter 2016. In 2014, the state’s postsecondary institutions produced fewer associate’s, bachelor’s and advanced degrees per capita than the previous year. One bright spot: Production of STEM bachelor’s degrees per capita was up year-over-year..
Washington ranks 38th for high school graduation rate. 78% of Washington’s Class of 2014 graduated from high school in four years, ranking our state 38th among all states – far from our top 10 goal. 40% of Washington’s 4th graders scored proficient or better on the nation’s reading test. 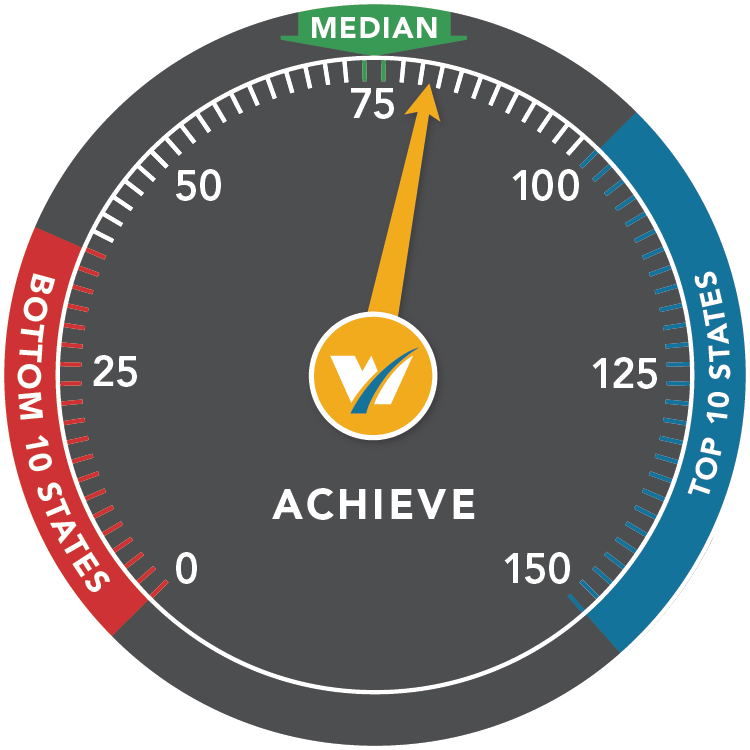 Our state is tied for 14th based on the average scale score for 4th graders on the National Assessment of Educational Progress reading test in 2015. Everyone depends on the transportation system, from farmers and manufacturers to individuals and families. It’s time to invest in transportation to support a prosperous future. Provide an efficient, multimodal transportation system that links Washington’s communities to each other and the world. Invest in the preservation and maintenance of Washington’s road and bridge networks and make improvements in key economic corridors. Improve freight mobility and connections between roads, rail, and ports. Provide options for regions to plan, prioritize, and fund local transportation needs. Our state remains 38th in Connect, coming in well below the median on the combined transportation and infrastructure measures. According to new data on bridge conditions, Washington is holding steady with 25.8 percent of bridges rated as functionally obsolete or structurally deficient. 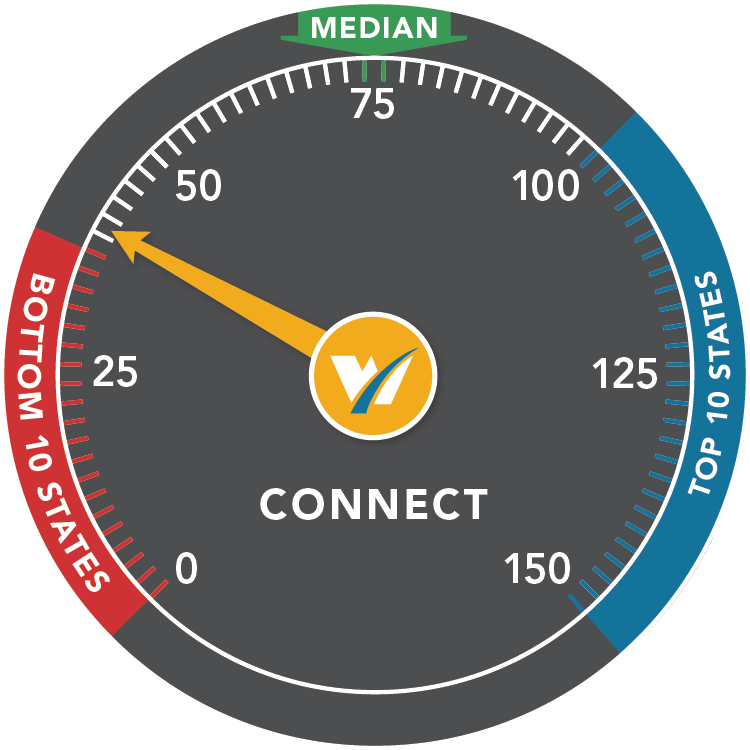 However, conditions have worsened in other states, giving Washington a bump up in the Connect score. Washington ranks 37th for road quality. About half of state roadways are rated poor or worse. Washington ranks 40th for commute times. The average statewide commute time is 27.1 minutes; likely longer in urban areas. Expanding opportunities means encouraging and rewarding innovation and risk-taking and providing employers with a predictable and efficient regulatory and tax environment. Pursue policies that encourage innovation, entrepreneurship and job creation. Support policies that encourage investment, job growth, and economic opportunity. Budget for long-term sustainability and prosperity. Streamline the regulatory system to improve predictability and efficiency. Washington’s position, just below the median, reflects strong private sector R&D investment and entrepreneurial activity coupled with higher-than-average business costs. Washington has the 5th highest business tax burden. Businesses in our state pay $7,600 in state and local taxes per employee, far higher than the average state, where businesses pay $5,800 per employee Only four states – three of which are resource extraction states – have a higher business tax burden. Washington ranks 6th for private sector R&D investment. Our state is a leader with private investment of $2,225 per capita.